Hatha yoga is the best known of the yogic paths because it is the yoga that deals directly with the physical body. It is therefore a path that everyone can relate to and see an obvious reason for practising, but this is, once again, a gross oversimplification. Hatha yoga has far more implications than physical fitness alone. Hatha is composed of the two syllables ha and tha. The syllable ha means 'the sun' and tha means 'the moon'. 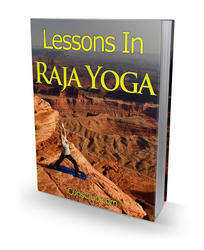 Therefore, hatha yoga is concerned with attaining harmony between the sun and moon aspects of our being. The moon implies ida nadi which is often called the chandra nadi (chandra - moon). The sun represents the pingala nadi, which is often called the surya nadi (surya - sun). Hatha yoga is intimately concerned with everything that we have so far discussed in this topic - the balance between ida and pingala. Remember that ida and pingala have many levels of meaning as we have tried to show under previous headings. Hatha yoga is concerned with balancing the sympathetic and parasym-pathetic nervous systems. It is concerned with balancing flows in the psychic realms of being; with balancing the tendency of mental introversion and extroversion. In the highest sense, it is concerned with balancing and harmonizing inner awareness with external expression and relationships and of inaction with action. Hatha yoga is concerned with balance at all these different levels of being, making it an elevated path of practice, with far more implications than are usually attributed to it. Keep this in mind the next time you practise hatha yoga.